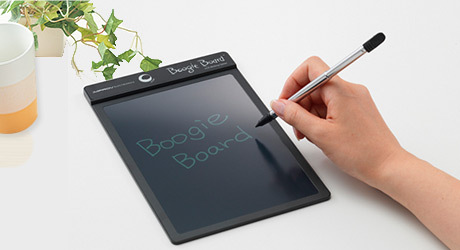 When designing the Boogie Board Jot 8.5 eWriter, design manager Hunter Morris worked hard to fully understand what aspect of Boogie Board eWriters resonated most with consumers. He found it was simplicity – they don’t try to do more than what’s needed – writing and drawing. The Boogie Board Jot 8.5 design focuses both on its intended use and modern style. Ergonomic and tactile elements are optimized for writing and drawing. The stylus is comfortable and precise. 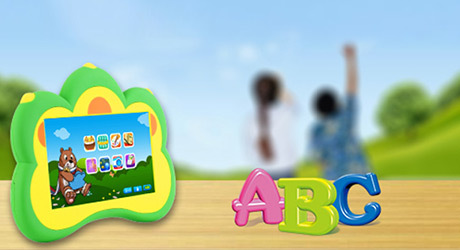 The kickstand slot, built-in magnets and erase lock add functionality. 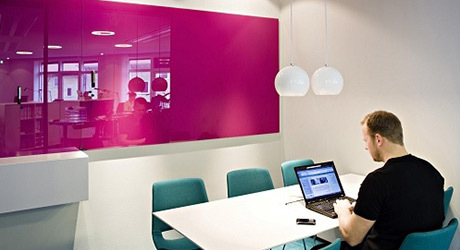 Color accents and materials add visual appeal that looks great anywhere – on a refrigerator, desk or on the go.